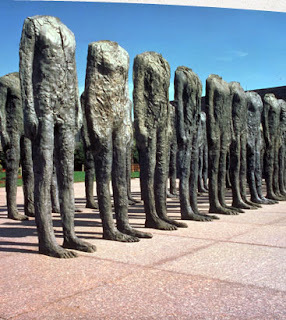 Magdalena Abakanowicz is from Poland and lived there during the invasion in World War II. The violent and uncertainty of this time had a huge impact on her and her artwork, which is mostly sculptural. Her main focus of her artwork is about the idea of "the crowd". Sometimes on how small one can feel amongst a crowd and others focusing on small differences in the repeated forms of individuals within a crowd. She creates organic humanoid shapes that are often dehumanized by leaving out body parts or the rough textural qualities that make the forms almost inorganic. Magdalena Abakanowicz has works displayed around the world. Here's her website! Bronze Crowd, 1990-91 Bronze, 71 1/8 x 23 x 15 1/2 in. The Bronze Crowd, which my dad saw in person and I sadly only got to experience online is a wonderful sculpture which also focuses on the crowd theme. There are thirty-six, huge figures standing together (but far enough that you can walk between them) that appear almost identical, but in fact are each unique. I would love to incorporate the idea of having multiple things that are dehumanized and individual in my senior seminar work, but to do it with dolls that I make. I'll have to talk to Professor Henry about maybe doing some casting. 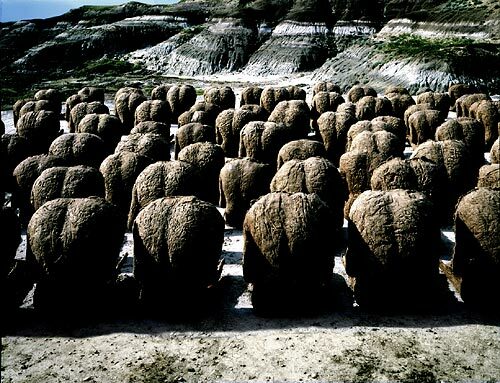 Also I'm going to show another image of my favorite work by Magdalena Abakanowicz, entitled 80 Backs. 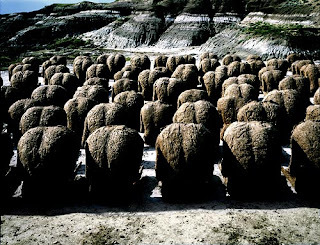 I love this one because I really feel the sorrow, the pain and heaviness of the hunched backs. A kind of combined deep hurt of a collective people. collection: Museum of Modern Art, Pusan, South Korea.